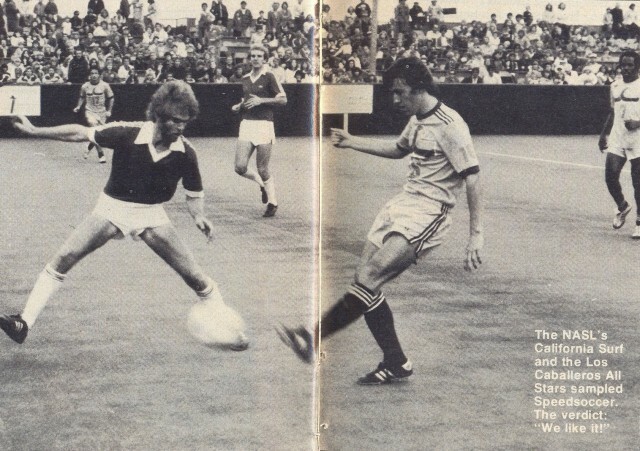 The NASL's California Surf and the Los Caballeros All-Stars sampled Speedsoccer. The verdict: "We like it!" Craig Allen, Paul Cahill, Steve David (7).